Now that spring weather has been here for a week or so, I feel okay posting about a winter theme. 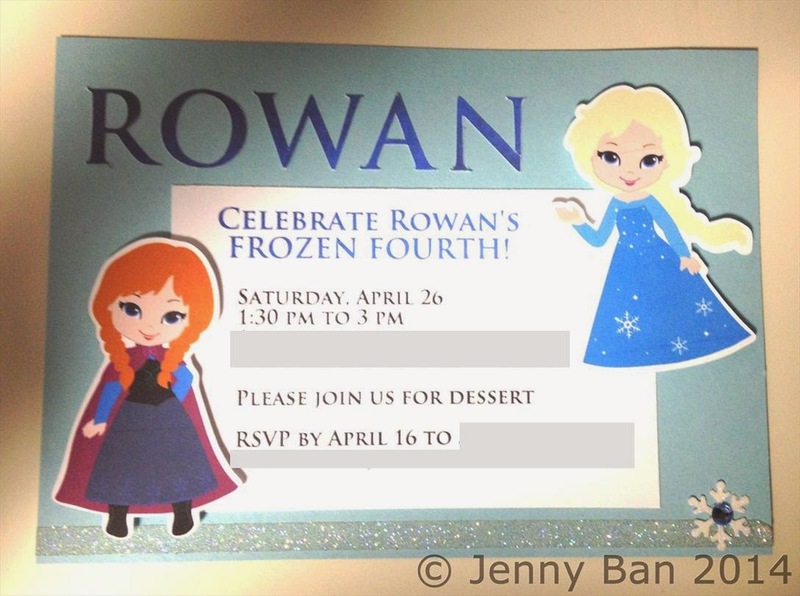 These are some "Frozen" birthday party invites and thank you cards I designed. 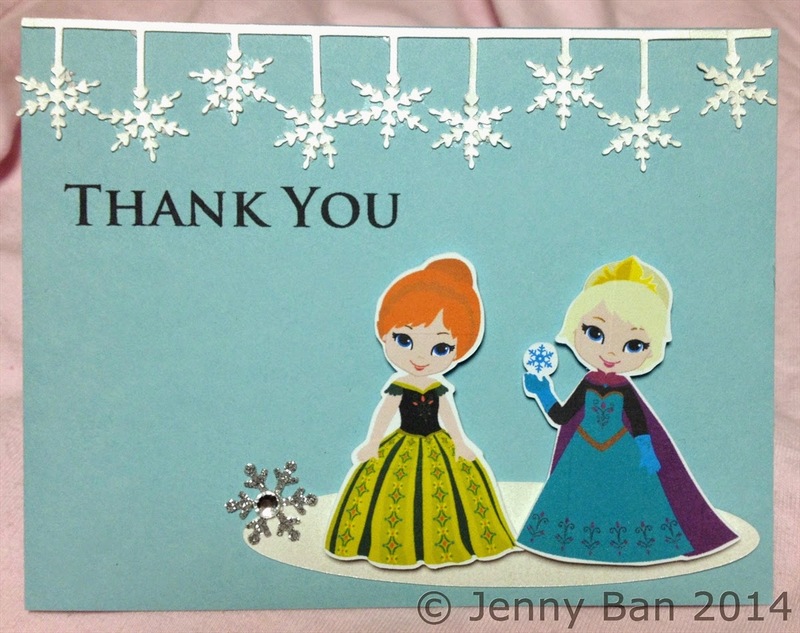 I LOVE these cute Anna and Elsa images I found on Etsy. I used my Silhouette Cameo to outline them, then used the "print and cut" feature to prep them for the cards. I had a few left over so I stuck them on wooden picks to go in the cupcakes. So easy and fun! A little trick on the glitter tape on the invite: Take the super-strong double-sided "red" tape and place on the card. Then sprinkle glitter over tape, shake off, and voila! Stay tuned next week for a custom-designed frozen-inspired girl-and-doll dress set!